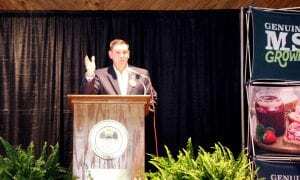 Commissioner of Agriculture and Commerce Andy Gipson announced the Mississippi Department of Agriculture and Commerce’s new state branding program, Genuine MS, to the public today at the Mississippi Agriculture and Forestry Museum. 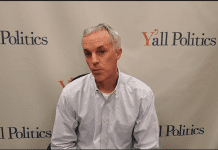 Gipson kicked off the Genuine MS launch by showing a short video that explained the program through the eyes of the four inaugural Genuine MS companies — Two Brooks Farm of Sumner, Simmons Farm Raised Catfish of Yazoo City, Flathau’s Fine Foods of Petal, and Short Line Manufacturing of Shaw. He then reiterated their sentiments and delved further into the program’s purpose. Genuine MS was developed by the Mississippi Department of Agriculture and Commerce to identify and promote products proudly created or produced by Mississippi farmers, artisans, entrepreneurs and manufacturers. 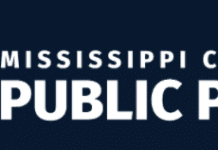 The purpose of the Genuine MS program is to increase public awareness of Mississippi’s farm, food, crafted and fabricated products by branding them as Genuine MS. The website, GenuineMS.com, serves as a centralized location featuring members’ products, while connecting consumers across the globe with the people and places that grow, raise, craft and make Genuine MS products. The program allows member companies to share their unique stories in an effort to increase consumer awareness of their products. Genuine MS shows Mississippi state pride and keeps the economy strong. There are four classifications of membership determined by the members’ products in the Genuine MS program — Grown, Raised, Crafted and Made. The Genuine MS Grown classification consists of farmers who grow everything from produce, nuts and row crops to horticulture and timber in Mississippi. The Genuine MS Raised classification consists of farmers, ranchers and aquaculturists with animals and aquaculture products raised in Mississippi or those selling products from animals and aquaculture products raised in Mississippi. 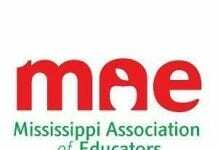 The Genuine MS Crafted classification consists of crafters whose products are hand-created in Mississippi from agricultural products, which includes specialty foods and beverages and pet and artisan products. The Genuine MS Made classification consists of manufacturers whose products are 51% or more manufactured in Mississippi to benefit agriculture. Genuine MS also offers an associate membership status for those who support agriculture. The Associate Member classification consists of retailers who sell Genuine MS products, restaurants who serve dishes that incorporate Mississippi agricultural products, farmers markets with local Mississippi farmers, agritourism operations that offer a genuine experience and organizations and associations that support Mississippi agriculture. Genuine MS member companies have the ability to brand themselves as Genuine MS by using the logo as a stamp of authenticity on their products, packaging and promotional materials. 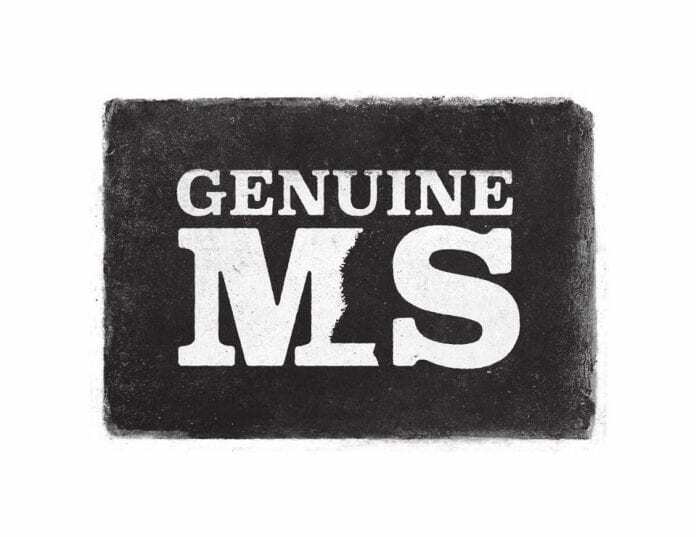 Members have a profile on the GenuineMS.com website that contains information about their Genuine MS products, the stories behind them, photos, contact information, links to their direct websites and social media accounts, and a listing of places to purchase. Members have password-protected access to their profile allowing them to update their profiles as often as they like. If you are interested in joining Genuine MS, visit GenuinsMS.com and submit the online application for either a Genuine Member or Associate Member. Members pay an annual membership fee of $75, which is used to promote the program. For more information, visit GenuineMS.com or contact the Mississippi Department of Agriculture and Commerce’s Market Development Division at (601) 359-1159 or [email protected]. Follow Genuine MS on Facebook and Instagram at @GenuineMississippi or on Twitter at @GenMississippi.